This is one of those races where the results could be considered to determine the balance of power in the U.S. Senate. While Democrats are facing an uphill battle to hold on to their 53-seat majority, which includes two independent senators who caucus with them, they are being forced to defend 21 seats are held by Democrats plus two more which are held by by the independents who caucus with Democrats. Republicans on the other hand are defending only 10 seats that are currently held by them. Of all those races, approximately one dozen, give or take a few, are considered competitive. Of those competitive seats, Democrats are defending nine, while Republicans are defending just three: Sen. Scott Brown in Massachusetts, Sen. Dean Heller of Nevada, and the Maine seat held by retiring Senator Olympia Snowe. Montana’s senate race is one of the nine Democrats are praying to hold on to. At the moment most polls have the Republican nominee, the state’s Congressman-At-Large, Denny Rehberg, far ahead of Tester and there is nothing to indicate that Tester can turn the trend around. In fact, it’s just the opposite. 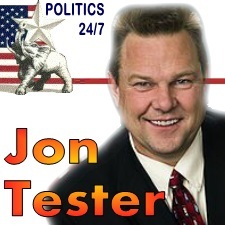 President Obama’s presence at the top of the Democrat’s ticket is a burden on tester that Hercules would have a tough time carrying among Montana’s conservative oriented demographic. As the 21st most conservative state, in the nation, Montana voted 9.65% more Republican in the 2008 presidential elections than the national average and it will likely produce a much higher average vote for them in 2012. None of this bodes well for Tester. 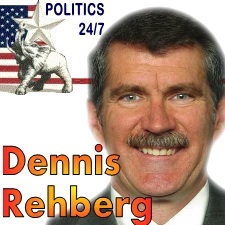 Meanwhile, as the state’s lone Congressman, Denny Rehberg is as well-known as Tester but is ideologically aligned with most of the Montana’s voters. 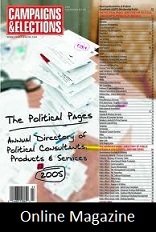 Add a well funded campaign that will be target by the G.O.P. and the National Republican Senatorial Campaign Committee and what you have is the makings of the end of Jon Tester’s short career in the United States Senate.